ICAI – The Institute of Chartered Accountants of India is a statutory body, which is the national professional accounting body of India. It was established by an Act of Parliament, on July 01, 1949. The functioning of the ICAI is under Ministry of Corporate Affairs, Government of India, and it is responsible for regulating Chartered Accountancy (CA) profession in India. From entrance exam to work norms of CA’s in India is covered by ICAI. 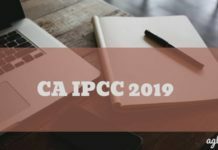 In this page, we cover all the ICAI exam, which are CA CPT, CA Foundation, CA IPCC, and CA Final. Check all the details on ICAI exams from below. Following are details about the exams conducted by ICAI. CA Common Proficiency Test (CPT): Common Proficiency Course is for those students who crave to pursue Charted Accountancy Course after passing 12th Examination. CPT is basically an entry-level test for Charted Accountancy Course. CPT used to be held twice in a year, in the month of June and December. However, in June 2019, the last CA CPT exam will be held because as per the new scheme the students will now enrol for the foundation course. 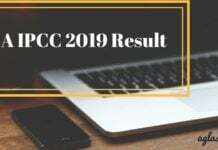 CA CPT June 2019 in concludes Accounting, Mercantile Laws, General Economics and Quantitative Aptitude. CPT is held just to check the basic knowledge of Students in these areas. It is an objective type examination and consists of 200 multiple choice questions. CPT covers four basic subjects viz. CA Foundation: ICAI updated the syllabus of CA exams under the new scheme and while doing so it also changed the name for CA CPT to CA Foundation. Now, the students need to pass CA Foundation as an entry level test. CA Foundation exams are also conducted twice a year i.e. in the month of May and November. To be eligible for CA Foundation, the candidate should have passed class 12th and must also register with BoS. After registration, the candidates have to undergo through 8 month study period and following it candidates can appear for the exam. 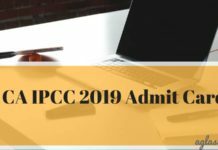 CA Integrated Professional Competency Course (IPCC): Those who qualify entry level test are eligible for IPCC. However, direct entry is also allowed. Intermediate (IPC) Course is composed of two levels viz. Group I and Group II. Intermediate (IPC) Course comprises of six subjects and seven papers of 100 marks each. Note: GMCS and Advance Course on Information Technology Training (ITT) are to be undergone before applying for the membership of the Institute and going for Final exam. CA Final: After successfully passing Intermediate Examination, a student enters into the last leg of the Chartered Accountancy Course i.e. the Final Course. The Final Course consists of two Groups. The Group I consists of four core papers and Group II consists of three course paper along with One Elective Paper. 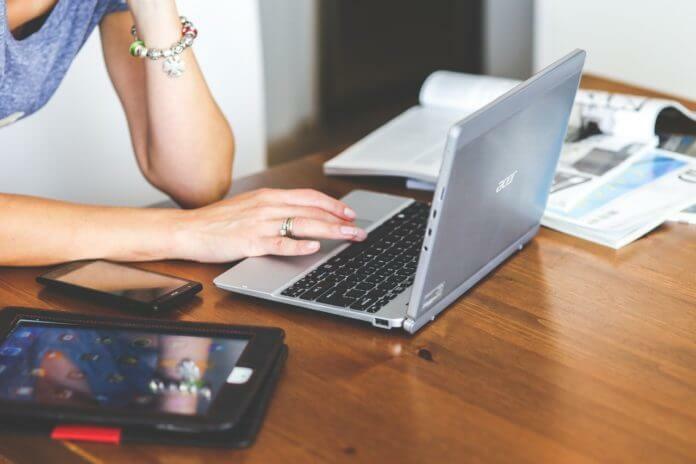 Students have to opt for one out of the six options available in the Elective Paper. Q1 What will be the criteria for appearing in these assessment tests? A1. The students after completing the 1st/ 2nd year of practical training are eligible to appear in these assessment tests in the subsequent three quarters of completion of the same. For example, a student completing his/her 1 st/ 2nd year of practical training during April-June, 2018 will be supposed to appear in the respective test till March 2019. However, if they clear their CA Final examination before the same, they will be allowed to appear in this test only till the announcement of result for the same as they will be getting the final grade in that mark sheet itself. Q2 In which marksheet the grade for these assessment tests be included? A2. The grade for practical training assessment tests will be included in the last marksheet issued by ICAI. Only the students who will be clearing their CA Final examination will be getting this grade in their marksheet. Q3 Is the same test date applicable for both 1st and 2nd level tests? A3. 1st and 2nd level tests are held on same dates. The student will be getting the questions accordingly based on their login details. Q4 What is the syllabus for these tests? A4. These tests are being introduced to assess the knowledge gained by the students during the course of practical training and their ability to apply their subject specific skills while undergoing their training in that particular area. Hence, there is no defined syllabus for these tests. However, fields in which practical training is being imparted have been identified. Q5 Under the Revised Scheme what is the nomenclature for all the three levels? A5. The three levels will now be called as Foundation, Intermediate and Final in place of earlier levels i.e. Common Proficiency Course (CPC), Intermediate (Integrated Proficiency Competence) Course and Final Course. Q6 When can I register for Foundation Course? A6. For registering in Foundation Course, a student must have appeared in class 12th Examination. Q7 Should we learn all sections, subsections and clauses in CA Final Law? A7. In paper No. 4 of CA Final i.e. Corporate and Allied Laws, it is desirable to support answers with relevant sections, sub-sections and clauses on the matter wherever necessary. Extra efforts are to be made at least on learning the Section numbers. If by any chance, students do not remember the Section numbers, subsections and clauses while answering any question in the examination paper on the subject, they may not lose heart on this score. They may otherwise strengthen their answer by appropriate reasoning and examples. However, they may desist from citing wrong Section numbers, sub-sections and clauses. Q8 What is the reason for the delay in result? A8. Normally the results are declared on time. In exceptional cases, there could be delay of one or two days due to unavoidable reasons. Moreover, one needs to appreciate that number of students has increased quite a bit over the past few years and since last two years, a gap between two papers has also been there increasing the overall duration of exam. Q9 Presentation and handwriting count. But, do they play a substantial role in exam? A9. If your answer is correct and it is presented nicely and in good hand-writing, it is surely going to fetch you good marks than an answer which is correct but which is not presented nicely. But if your answer is conceptually wrong, howsoever good the presentation may be, you are not going to get marks. Q10 Will International Accounting Standards be applicable at IPCC stage or at Final stage? A10. An overview of IAS/IFRS is covered in the syllabus of Financial Reporting at Final level only. They are not applicable at Inter (IPC) level.